When looking for inspiration for future integrated digital campaigns, I like to look back at some awesome campaigns that happened at this last San Diego Comic-Con. In particular, I was amazed at the dedication of the “zombie invasions” that happened throughout the weekend. I decided to dig a little deeper and see if these zombie invasions were just a make-shift flash mob or part of a bigger marketing campaign. Looking past the fake blood and stitches, I came across Hyundai Undead. It’s been over a year since Hyundai began their partnership with The Walking Dead when The Walking Dead comic book creator, Robert Kirkman, created a zombie survival edition of the Hyundai Elantra coupe. At this year’s San Diego Comic-Con, Hyundai set up a booth to debut the Veloster Zombie Survival Machine: a custom 2013 Hyundai Veloster, equipped with all the bells and whistles necessary to survive a (possible) zombie attack. Also, fans were able to check out the latest The Walking Dead video game, join zombie costume contests, catch celebrity appearances, transform into a zombie with a zombie makeup station, and more. I decided to leave the zombie makeup to the professionals. 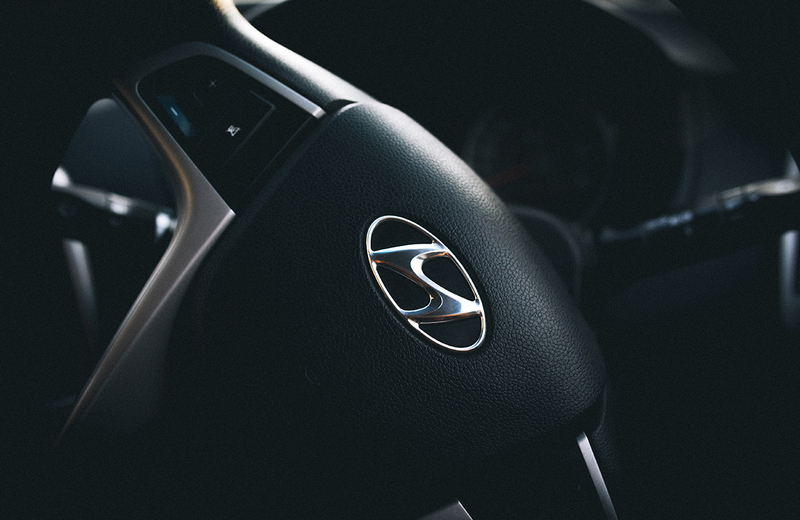 By analyzing the enormous response on social media, Hyundai gave fans the opportunity to customize their very own (and even better) zombie survival machine, with a Hyundai Elantra, Veloster Turbo, or Santa Fe. Side note: It’s like they’re subliminally training fans (those with driving licenses and those without) how to customize a car for purchase! Impressive. Now until the New York Comic-Con this October, fans are encouraged to access the Walking Dead Chop Shop app to design and customize their zombie survival machine and submit their designs for a chance win and have it actually built and unveiled at New York Comic-Con. Spreading a campaign across the country? Doubly impressive. Not only does that welcome fans from all over the country, but it also adds a longer shelf life for this seemingly simple “build-your-own” campaign. Fans were able to interact with The Walking Dead in a unique way and participate in an online community through gamification, vetting fans against each other to compete in building the best zombie survival machine. We’ll have to wait to see and find out who creates the most vicious Hyundai vehicle.